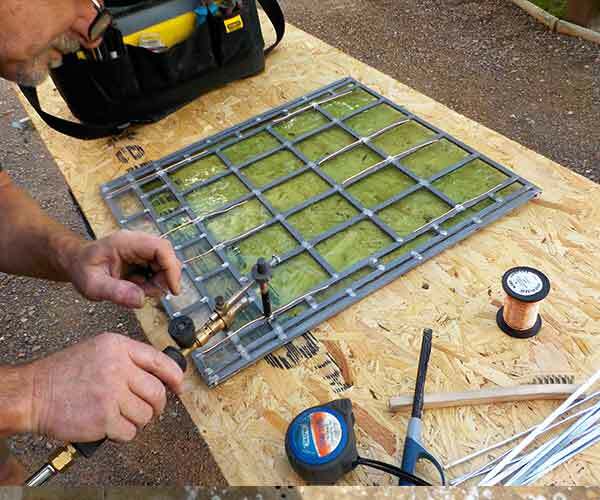 Stained Glass window repairs,For more than a quarter of a century Glasswood has established an excellent reputation in the field of conservation, restoration, and reproduction of historic windows. 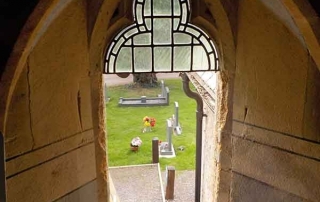 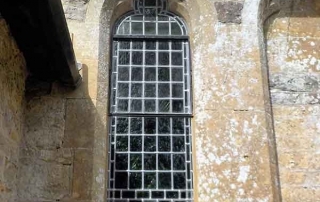 We understand the nature of traditional stained glass windows and glazing and we have extensive experience of working in historically important buildings and churches using traditional methods and materials. 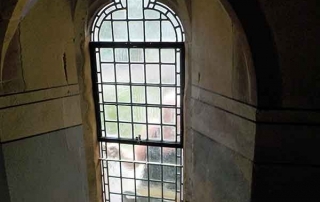 We provide a friendly, professional and complete service, from the initial consultancy through to the removal, restoration, and installation of traditional and modern stained glass windows. 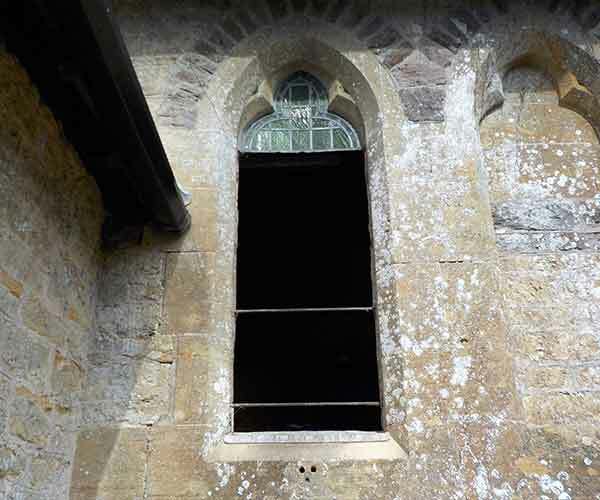 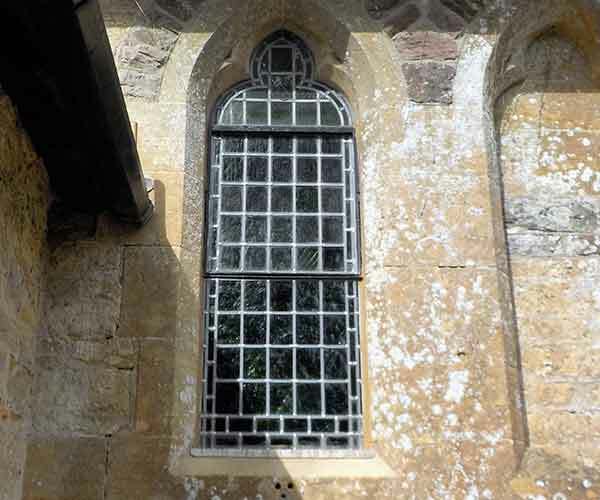 The images below are of a Stained glass window repair carried out in September 2016 at Crewkerne cemetery, Where the window was damaged by a break in. 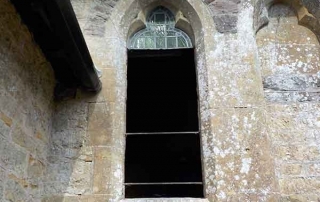 Due to the damage, we had to remove the stained glass window and replace and restore! 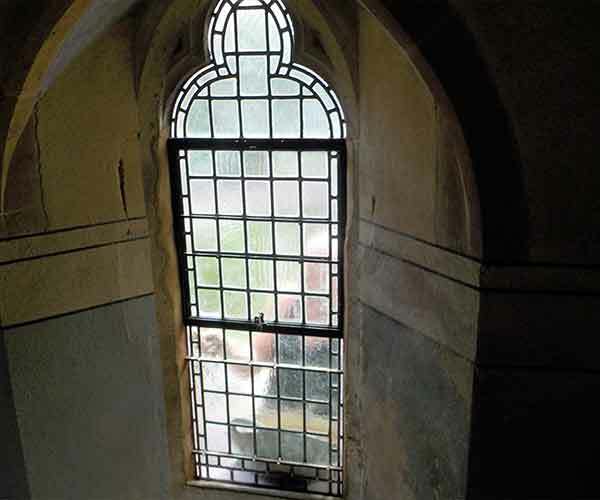 We work closely with the local conservation officer to ensure that the stained glass window repair is replicating the existing damaged window. 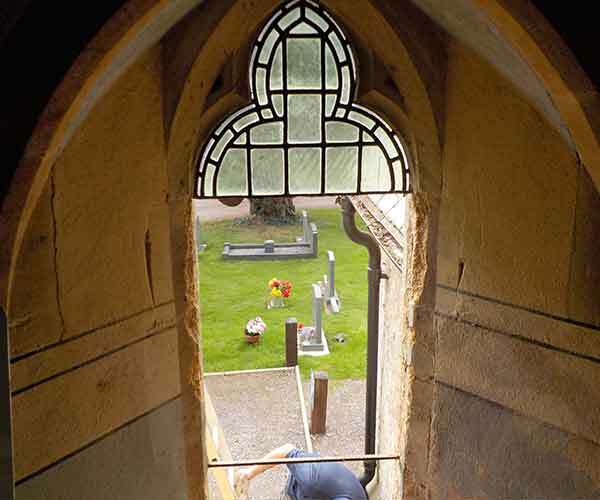 We also carry out on-site repairs to stained glass windows that need repairing due to general weathering and decade. 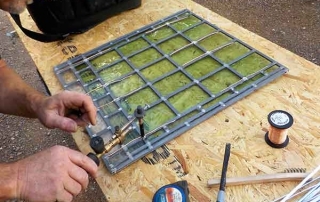 The Video shows one of our team soldering copper ties on the stained glass window on site, and ready to install on to the saddle bars.